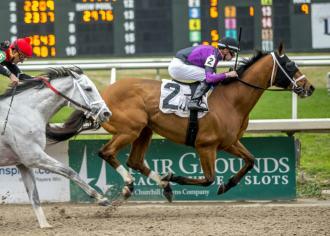 HARLAN PUNCH, the tenacious, 6-year-old gelding by Harlan’s Holiday, got Ten Strike Racing off the Stakes “duck” in 2019 after an impressive win in the $75,000 Louisiana Stakes at the Fair Grounds last Saturday. In his second start for trainer Brad Cox, Harlan Punch stalked the pacesetter in second throughout and put in a massive effort in the stretch to dig deep and prevail by 3/4-lengths to earn a 96 Beyer. 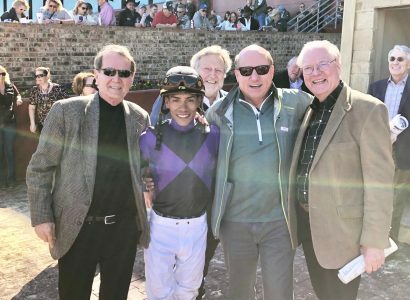 A win in the Louisiana Stakes marks the 10th career victory for Harlan Punch who now boasts career earnings of over $749,000.